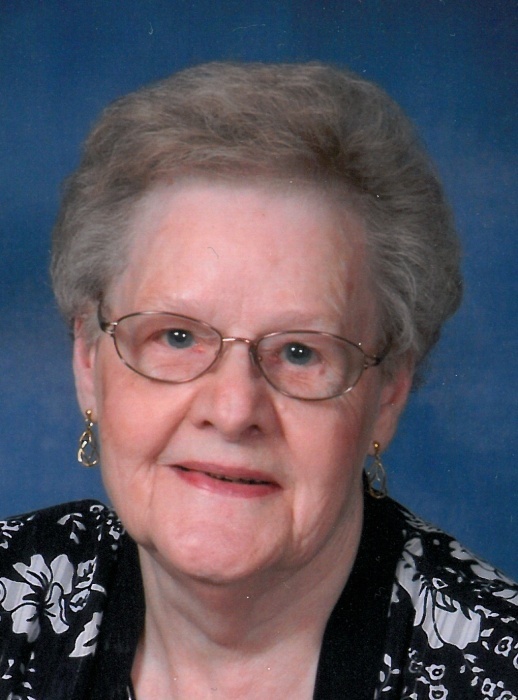 MILLER CITY -- Eleanor A. Hermiller, 84, of Miller City died 11:10 a.m. Saturday, January 26, 2019 at the Meadows of Ottawa. She was born December 5, 1934 in Lima to the late Edward and Catherine (Pohl) Hoersten. On April 29, 1954 she married Lawrence W. Hermiller, who preceded her in death on July 14, 2004. She is survived by 8 children: Nancy (Ken) Niese of Findlay, David (Rose Ann) Hermiller of Miller City, Becky (Ken) Duling of Glandorf, Tim (Marie) Hermiller of Miller City, Nick (Teresa) Hermiller of Continental, Larry (Martha) Hermiller of Miller City, Ginny (Dan) Niese of Leipsic and Ken (Brenda) Hermiller of Miller City; 20 grandchildren; 13 great-grandchildren with 1 on the way; 2 brothers: Walt (Janet) Hoersten of Fort Jennings and Len (Sue) Hoersten of Lees Summit, MO. Eleanor was a retired secretary from Countrymark, Continental. She was a member of St. Nicholas Catholic Church, Miller City and was a member of its Altar Rosary Society and C. L. of C.
Mass of Christian Burial will be 10:00 a.m. Tuesday, January 29, 2019 at St. Nicholas Catholic Church, Miller City with Monsignor Charles E. Singler officiating. Burial will follow in the church cemetery. Visitation will be Monday from 2 to 8 p.m. at LOVE FUNERAL HOME, Ottawa. Memorial contributions may be made to the American Cancer Society, Parkinson's Foundation, or to National MS Society. Online condolences may be expressed at www.lovefuneralhome.com.